Our annual Earthwatch Expedition Guide is a concise resource detailing all of our expeditions. We have plans for an exciting year, and you won't want to miss it. Let the Earthwatch Expedition Guide inspire you to join our movement, and get hands on with conservation. To receive a copy of the latest Earthwatch Expedition Guide by mail, submit your information below. View the Expedition Guide online. When did ancient Portuguese societies shift to agriculture? 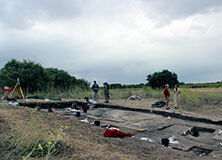 Hunter-gatherers and farmers may have coexisted for a brief time here. Unearth the mystery of this transition. How is a national treasure being reshaped by the changing climate? 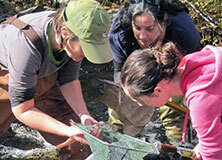 Help scientists search for clues in Acadia National Park. 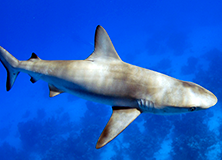 How can we keep shark populations strong? Find answers while exploring some of the world’s most beautiful reefs. How exactly do penguins find food at sea, and how does it impact their young? Be among the first to investigate.